Founded in 1934, William Hill has been a household name in England for many years already with betting shops all over the country. 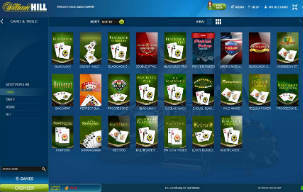 Once the online version of the company was launched in 2008, it took no time for the brand to become a leader in the online casino market as well. Today, William Hill’s online casino, poker room and sportsbook are enjoyed by players from all over the world, and of course from Canada. So, does William Hill deserve its esteemed name? After checking out the brand’s various services including its poker rooms, sportsbook, and the William Hill mobile casino, we think it definitely does. This is a very well run complete betting solution. The brand seems very committed to quality and the products are regulated by the Gibraltar Gambling Commissioner for the Canadian market. William Hill casino is powered by the Playtech software development company so you can be sure you’re playing games of the highest quality with great payout rates. A wide range of banking options are available to Canadian players. Just choose the payment method that suits you. The welcome bonus may seem a little low when compared to competitors, but since the wagering requirement is only 12 times, it’s a pretty good deal and there are lots of other promotions to take advantage of. The promotions program at William Hill is great. There always seems to be something exciting going on from special offers to competitions. The support is what you’d expect from a company with a legacy like that of William Hill. The customer service department can be contacted via telephone, email, and live chat. 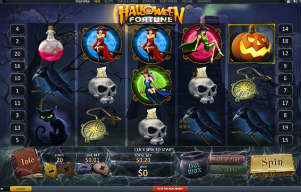 William Hill’s mobile casino is well designed and very user-friendly. We did find it a little bit limited with regards to game selection but this isn’t make it less enjoyable overall. 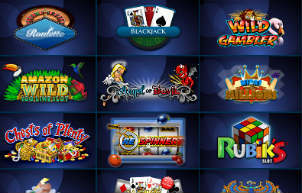 William Hill casino is powered by Playtech, an industry leader in online gaming. This is evident in the game quality offered at this casino. All the games are high on entertainment value and work amazingly. The creative themes, colorful designs and use of audio and music all add to the liveliness of the experience. Most importantly, there’s a huge range of progressive jackpots on offer and because these are Playtech games, the amounts are in the millions of dollars, just itching to be won. In terms of game selection, William Hill definitely has all its bases covered. For the classic casino games such as blackjack, roulette, baccarat, craps and others, you get a nice variety of beautifully designed games. The animation and use of sound add to the realism and ambience of the games too. 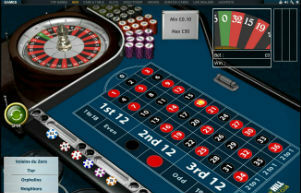 The live dealer casino is stylish and it’s fun to feel the thrill of a real casino while playing on your iPad as you lie comfortably on the couch. The deposit process at William Hill is quick and easy. You can use credit cards (Mastercard, Visa etc. ), e-wallets (Neteller, ClickandBuy, Paypal etc.) or a number of online transfer services. The same follows for withdrawals although keep in mind that Mastercard does not let you withdraw from any online casino. William Hill offers two ways to claim its C$300 welcome bonus. The first is in the form of 2 deposits – you receive a 150% up to C$200 bonus on your initial deposit, and then an additional 75% up to C$100 on your next deposit. The second way is especially suited to high rollers – just make any deposit over C$1,000 and you will be rewarded with the maximum welcome bonus of C$300 immediately, along with 50 free spins. Although the welcome bonus amount doesn’t seem impressive compared to what some of the other brands offer new players, William Hill’s wagering requirement of 12 times is extremely reasonable. This makes the whole package very attractive since the bonus money is that much more accessible. It’s a pretty sweet deal that does make for a warm welcome to the casino. As with other online casinos, the wagering rates differ per type of game so read up on the bonus terms and conditions that appear on the William Hill website. We found William Hill’s customer service team to be both friendly and helpful. Technical questions were answered knowledgeably as were questions about the welcome bonus and promotions. William Hill’s mobile platform is very user friendly and efficient. From making a deposit to moving between games, everything is very smooth and nicely set out. The design is easy to understand and very stylish. The games are great and all run very smoothly from a wide range of mobile devices. We would have liked to see a wider variety of games, but game selection is something that will probably be improved as time goes by. We found William Hill to be a very comprehensive online betting service. The wide range of gaming options guarantees you’ll find something that suits your mood. Just the casino in itself can be explored for hours. And when you feel like a change of atmosphere, you can just pull up a chair to a poker table or see what’s happening in the world of sports. On the promotions side, the welcome bonus at first might seem small, but at second glance is very fair because of the reasonable wagering requirements, and it will definitely give you that bankroll boost. We also love how there always seems to be something going on at William Hill. Their promotions team think up great offers and bonuses seem to be a very frequent occurrence. Overall, if you’re looking for a quality casino experience, William Hill will not disappoint.